Dangerously close to Hoarders territory…. 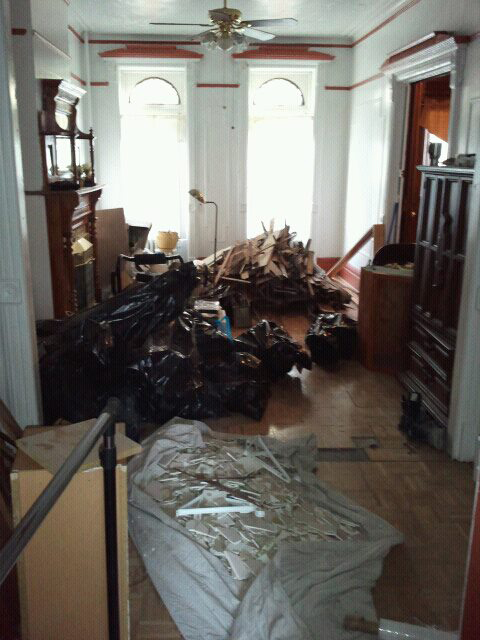 This is what our fancy parlor floor looks like as of yesterday. Debris are accumulating at a rapid pace… vinyl flooring, broken tile and other detritus sadly do not disappear into thin air. Tags: Construction debris, remodelingCategories: Progress?